Many outdoors people who want to get away from the commercialized and often crowded campsites look to large tracts of federal land that are designated as “Wilderness Areas” for solitude. The only catch is that there is often a limited first-come, first-served permit quota system that was put in place to keep user numbers low and user satisfaction high. If you happen to be in the front of the line, that system will ensure a limited chance of running into other campers as you hike, fish, canoe, or berry pick your way through the property. But what about those who are denied permits – where can they go? Buck up little campers, there’s good news and these wilderness areas may literally be “right next door”. Land that is set aside as wilderness areas usually need a fairly predictable border that can be figured out by reading a map, signs, and landmarks such as roads or waterways. It’s a way of making the borders user-friendly for campers, surrounding private land owners, and administrators who take care of the land, and it’s simply a matter of convenience to locate and place borders where they’ll be most easily identified and enforced. Now, just because wilderness areas have nice, clean, easy to read borders doesn’t necessarily mean the land on the other side of the road is any less wild. Even if the jurisdiction may change to state or county land ownership, there are still some beautiful and very wild places that require no special permits to use. 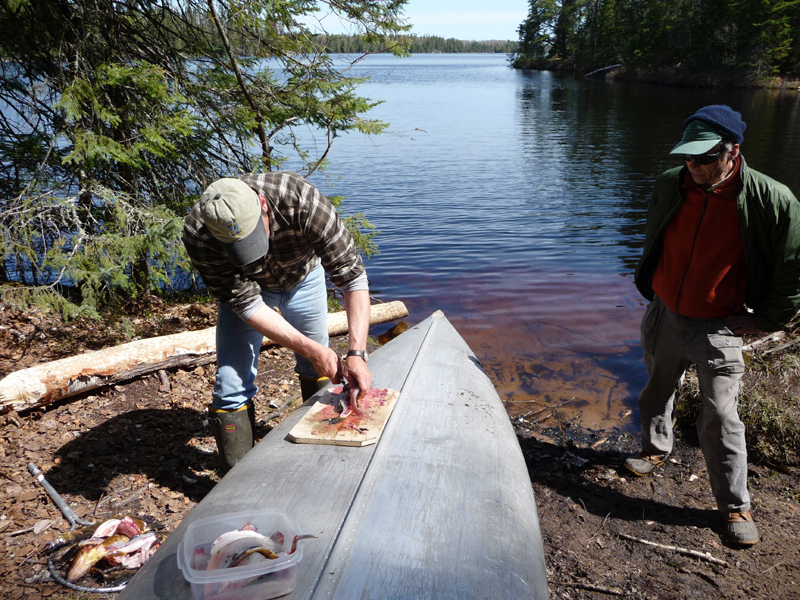 A recent trip to the wilderness areas of northern Minnesota is a perfect example. Located just outside Ely, MN, the Boundary Waters Canoe Area (www.bwca.com) is one of the most popular and most heavily used wilderness areas in the entire country. It’s sprawling million plus acres that are dotted with lakes and rivers offer campers and canoeists the chance for a true wilderness experience. There’s unmatched fishing, bird watching, and sight seeing that may include a quick glimpse of a moose, bear, or even a timber wolf. With the high demand for permits (over 200,000 users per year) there are bound to be some folks left out in the cold if they don’t have flexible scheduling or advance planning. A great alternative is to camp in the Superior National Forest, which actually surrounds the BWCA. 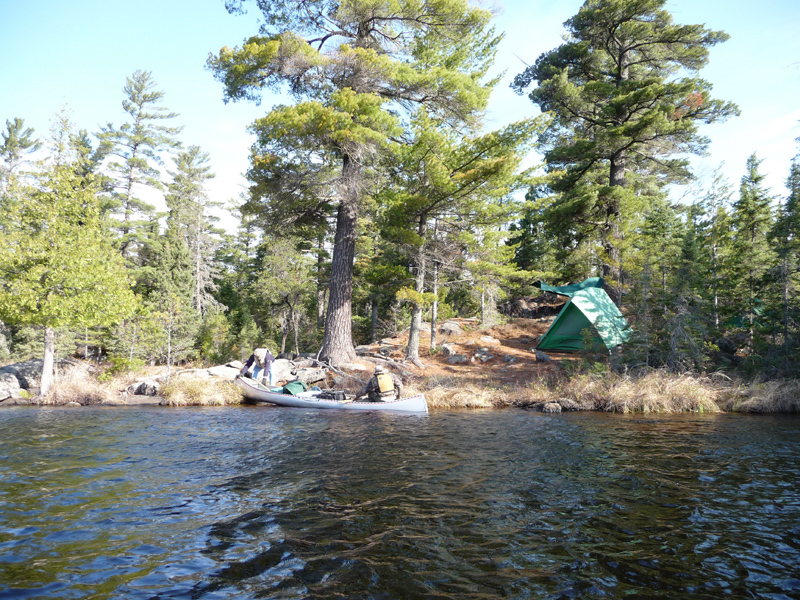 Our group wasn’t able to secure a permit for the BWCA, but as we canoed towards our campsite located on a granite point jutting out into the lake, there was no doubt that we were in a very, very wild place. Loons ducked under the surface as we paddled past them, wild flowers grew out of the rocky crags, and there was a quiet and calm about the place that reminded us we were far from city life and responsible for our own well being while in these wilderness areas. I’d like to tell you that we caught so many walleyes we had to ice down our arms right along with the fish, but the truth is that a cold front came blowing in from the north and finding places to fish out of the wind became our priority. We picked up a few fish here and there, but not enough for lunch. Even so, the scenery of the wilderness areas was incredible and we enjoyed the steak dinner our guide, Dean Bushey grilled for us on the wood fireplace he made from native stones lying around camp. The good news is that the next morning the wind had laid down and we were treated to a great walleye bite with many fish returned to the cold clear water and enough “eating size” fish were kept to be filleted for an outstanding shore lunch. 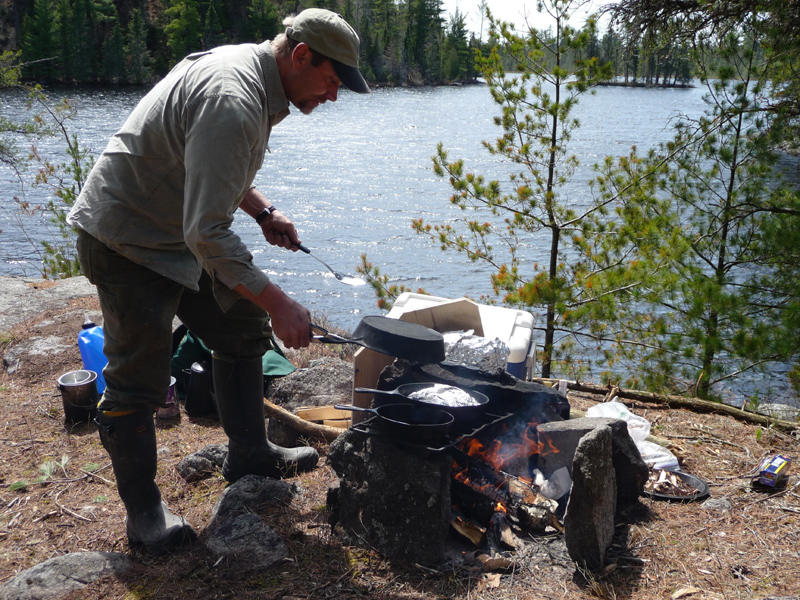 If we had been dead-set on camping in the BWCA or nothing we would’ve gotten just that – nothing. Thanks to our willingness to try a camping and canoeing trip just outside those hallowed borders, we were able to enjoy the same quality wilderness areas experience without applying for a permit. The next time you’re planning your dream vacation into the back county, a little flexibility may go a long way toward enjoying a satisfying wilderness visit. Spring Turkey is almost Here! 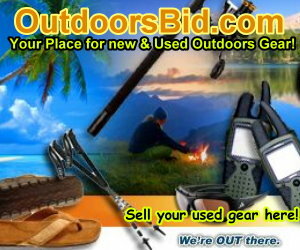 Its a pleasure to post these articles that may jar memories or perhaps even better, get you back out there to relive them. I’m very lucky to have friends around the country who invite me to enjoy the Outdoors with them!